Good afternoon everyone! I hope you all had a wonderful weekend! 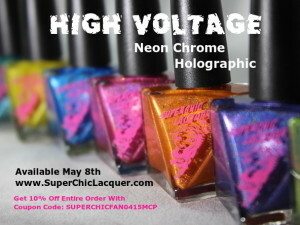 I took the weekend to focus on filling and packing orders but I am back now and ready to share some beautiful lacquer. 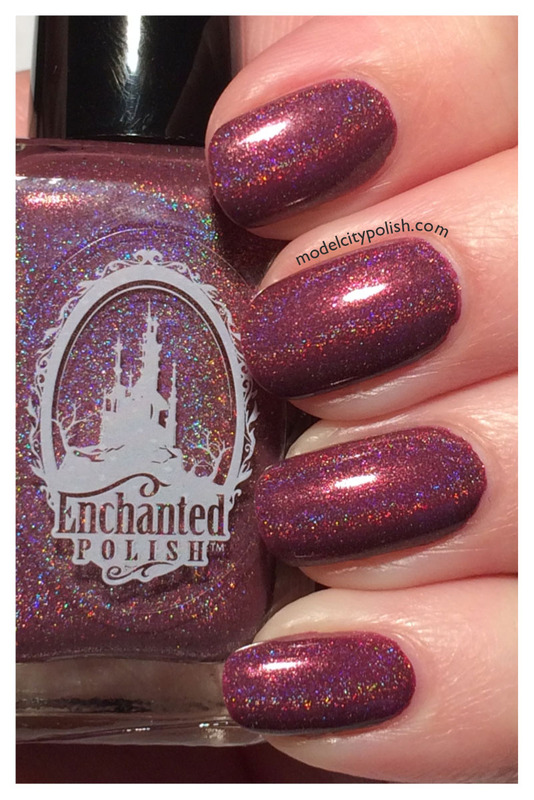 Today I have Enchanted Polish February 2014 to share. 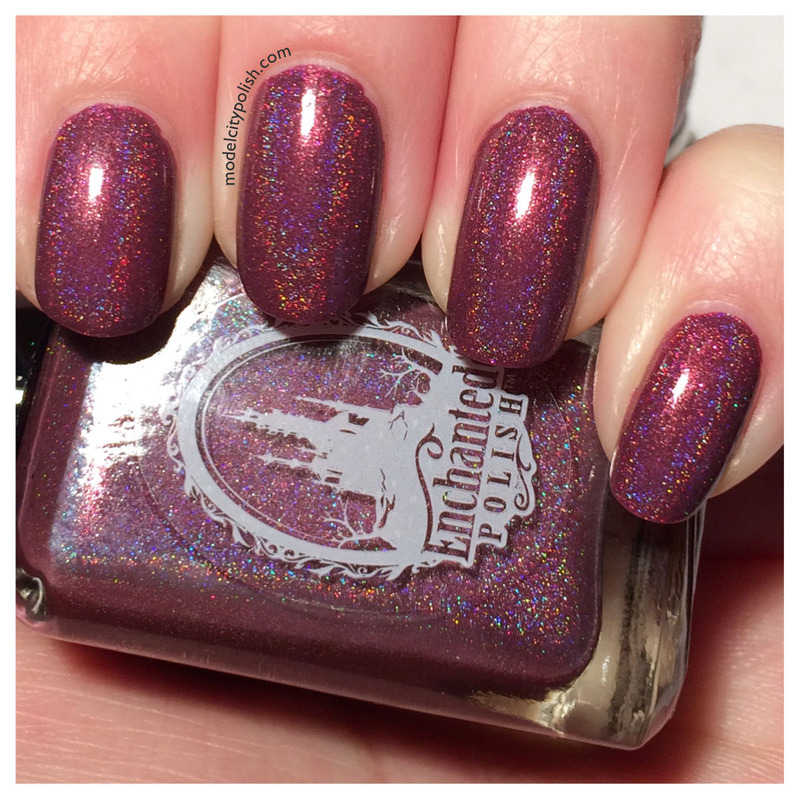 I figure it was finally safe to share this wonderful mystery polish since yesterday was preorders for March and April. 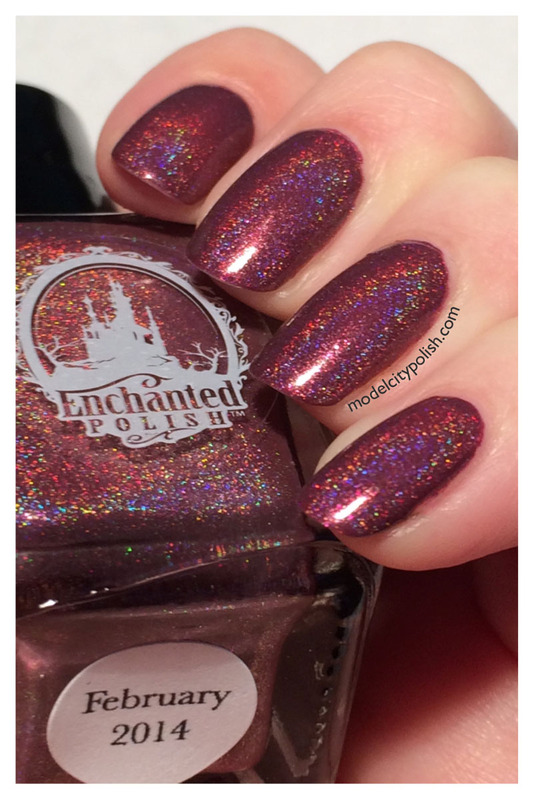 I’m torn on the mystery blends but with it being Enchanted if you don’t grab first thing then prices second hand can be killer and I really have a hard time paying those prices. 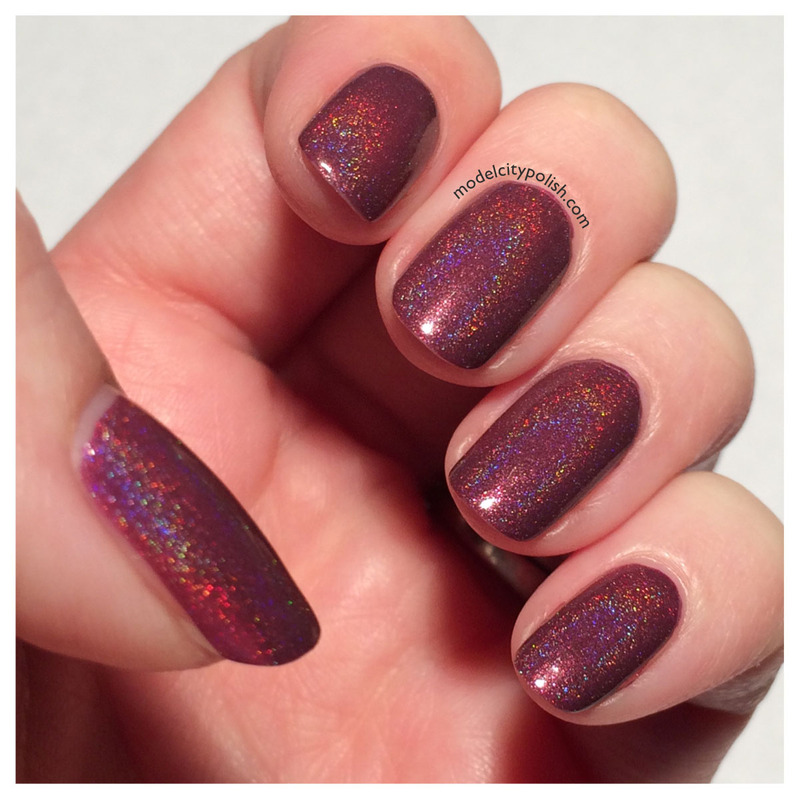 February 2014 is dark red with an undertone of purple, and leaning towards burgundy, holographic blend. 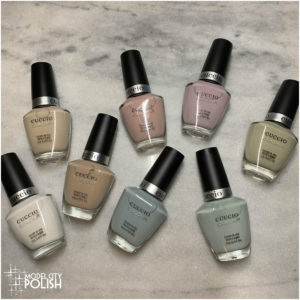 The blend was a little thick but due to it’s heavy pigmentation I only needed one coat to get full coverage. 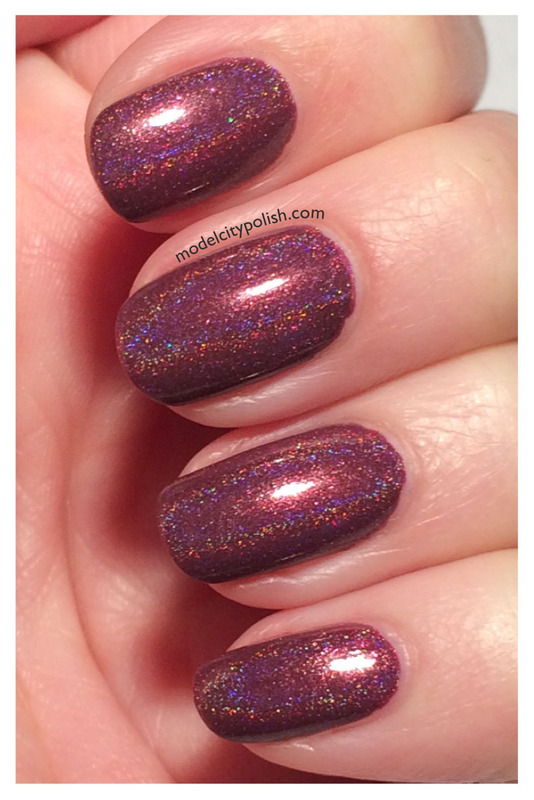 In my photos I am showing one coat of February 2014 and a coat of HK Girl Fast Dry Top Coat. 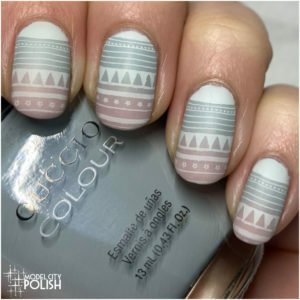 I would love that for valentine stamping! 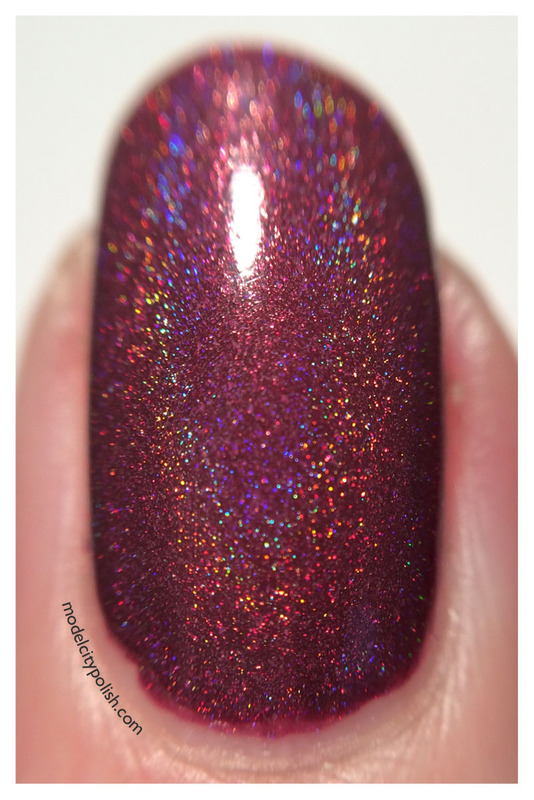 It’s a great valentine color, very fitting for their February mystery. Oh, I need to remember this for next year! i have perfect stamp patterns!